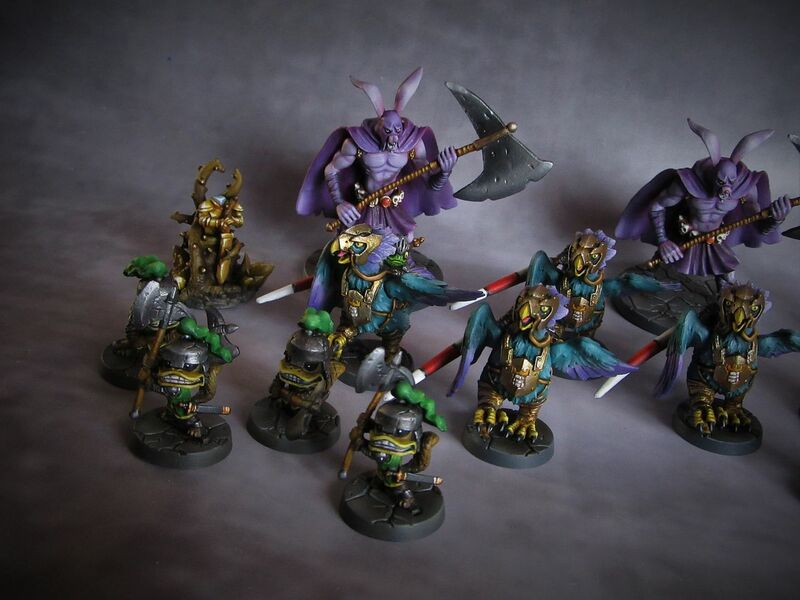 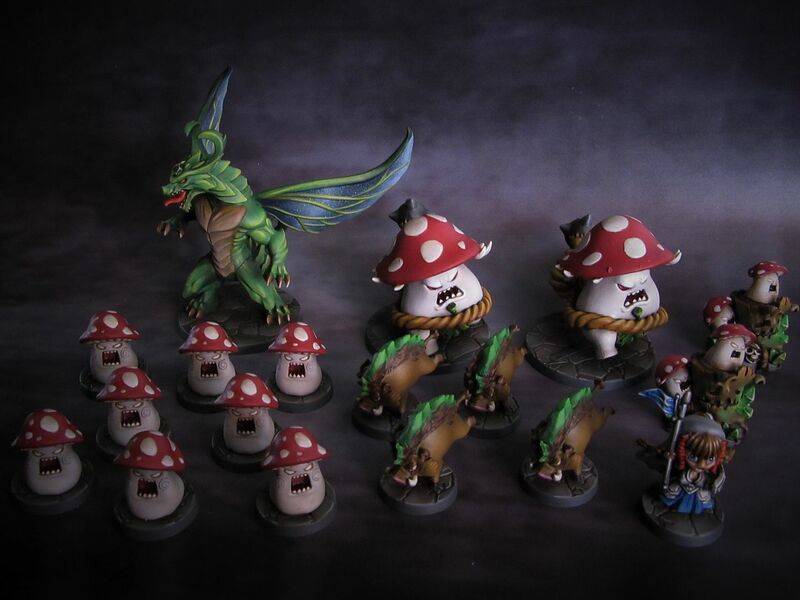 Managed to shoehorn a little SDE time into my project list, Emerald valley warband done! 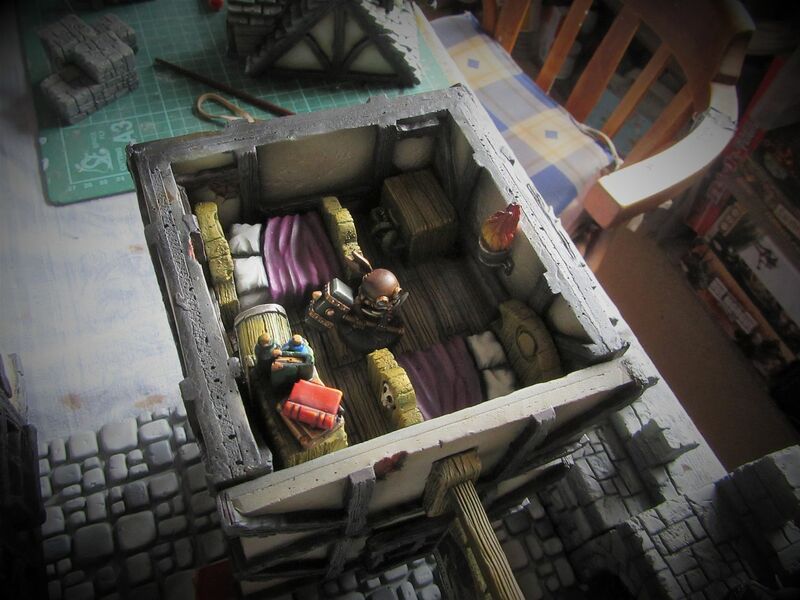 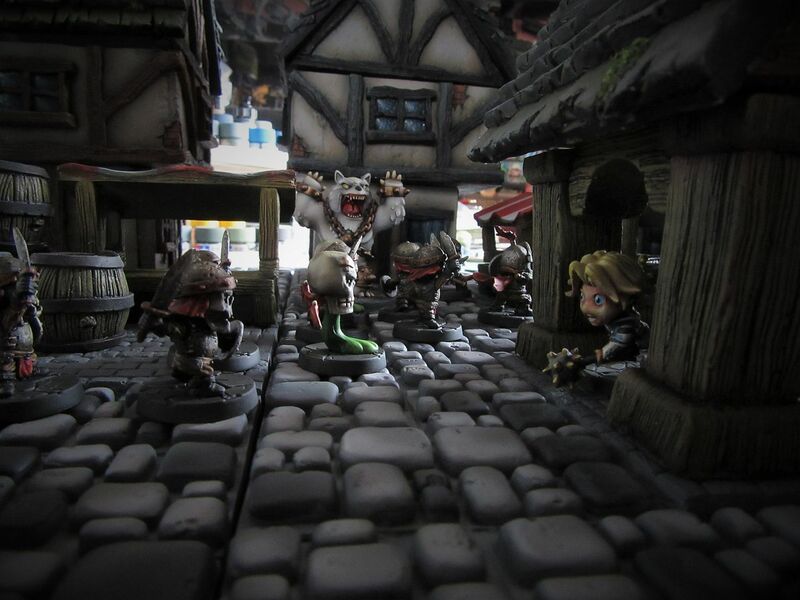 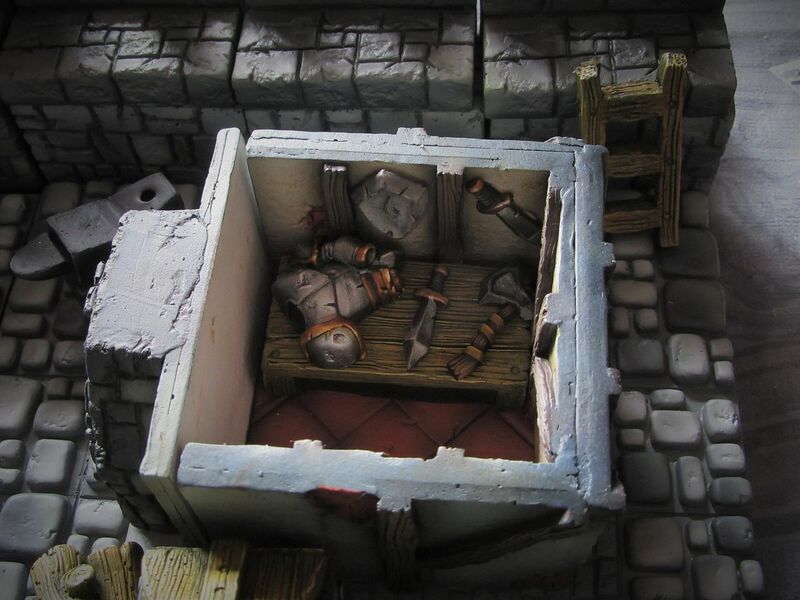 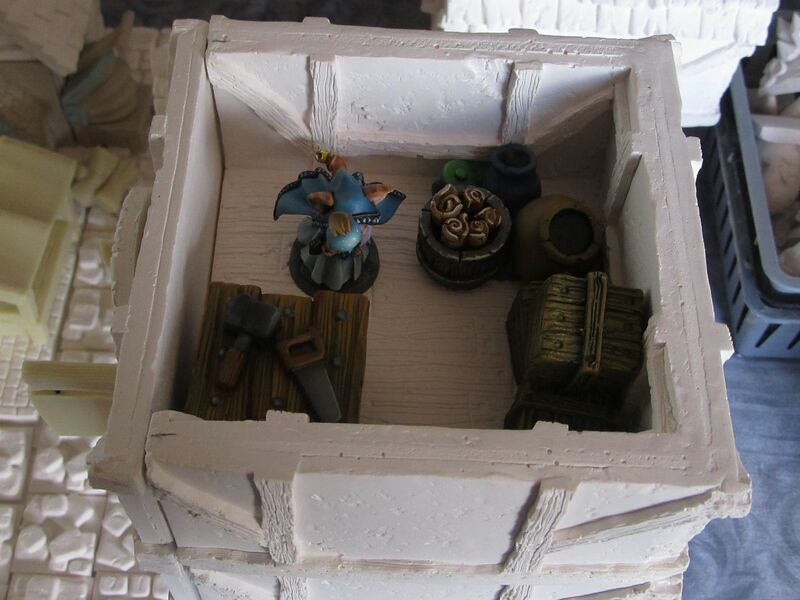 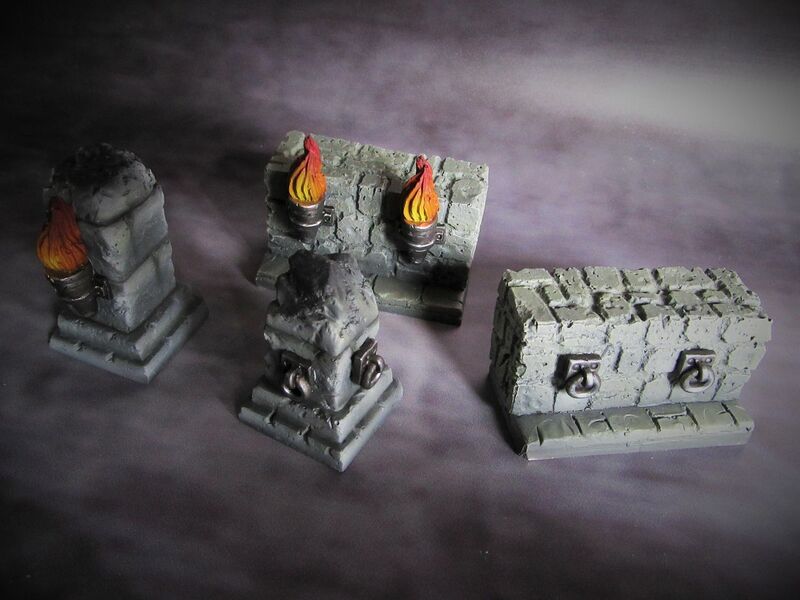 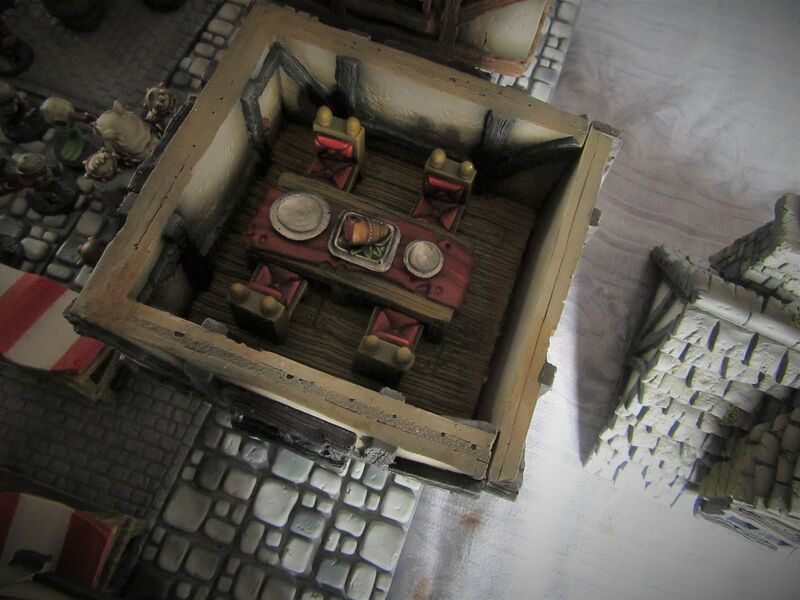 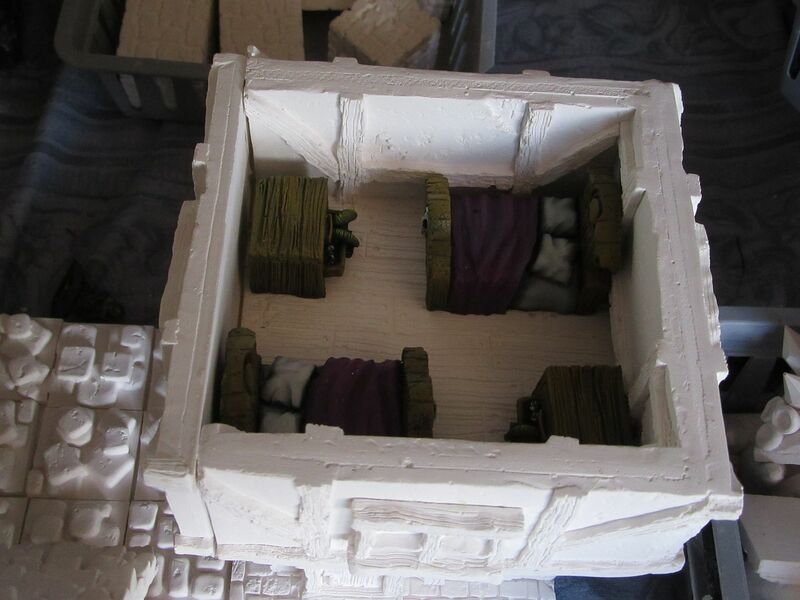 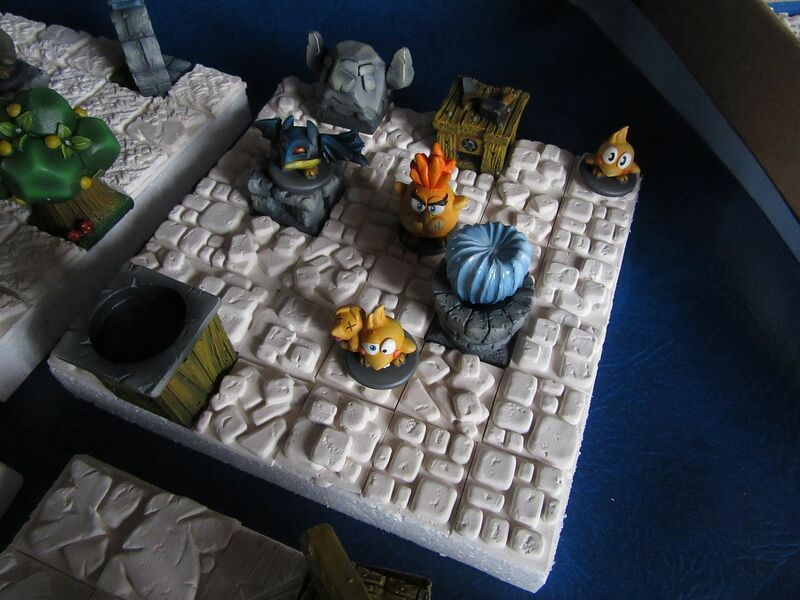 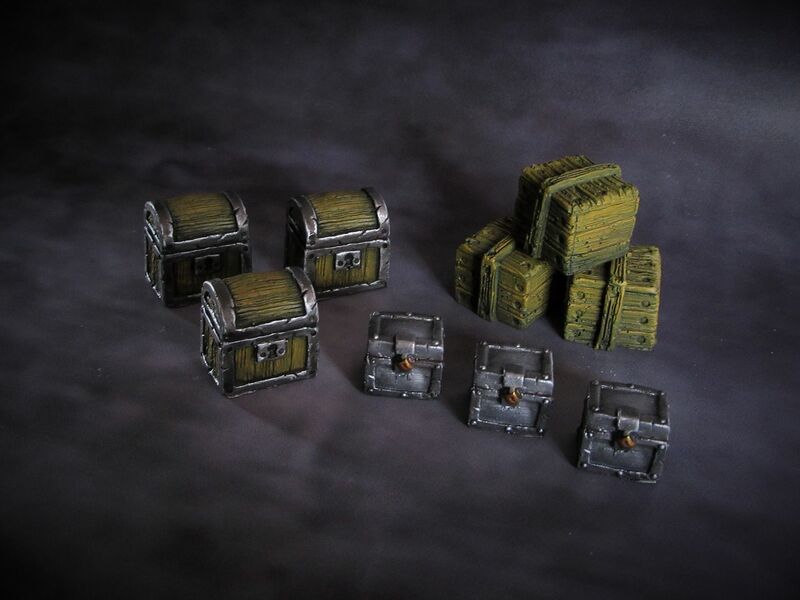 Also finished painting the samples of some more of our upcoming SDE style Scenery KS, this time some cute little scatter scenery that can be used to trigger events or simply make your dungeons look prettier! 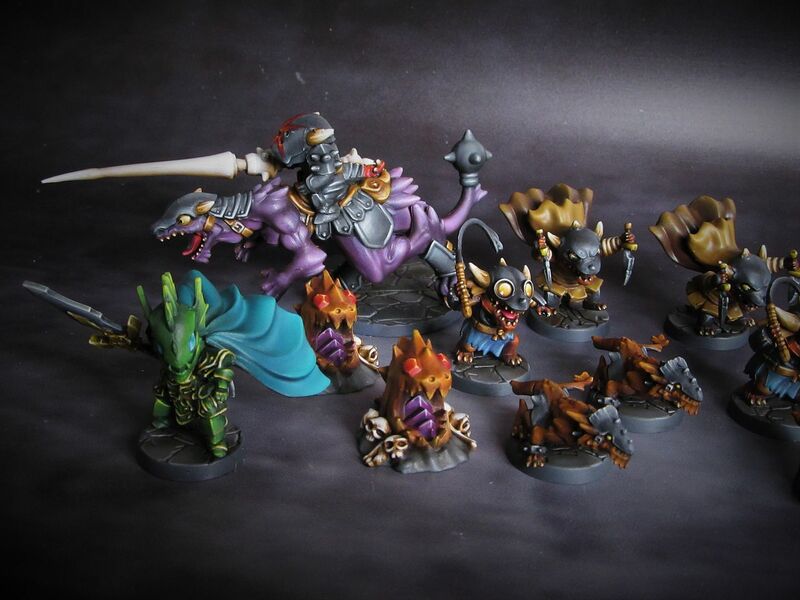 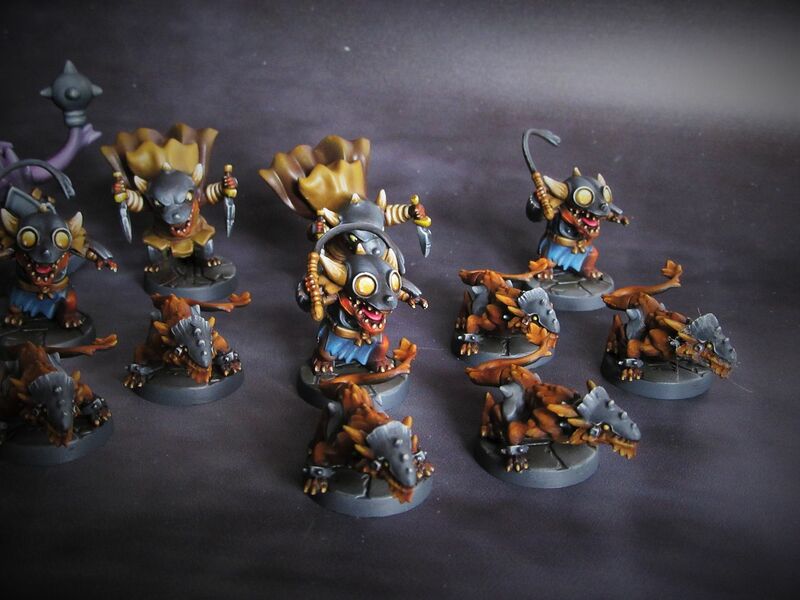 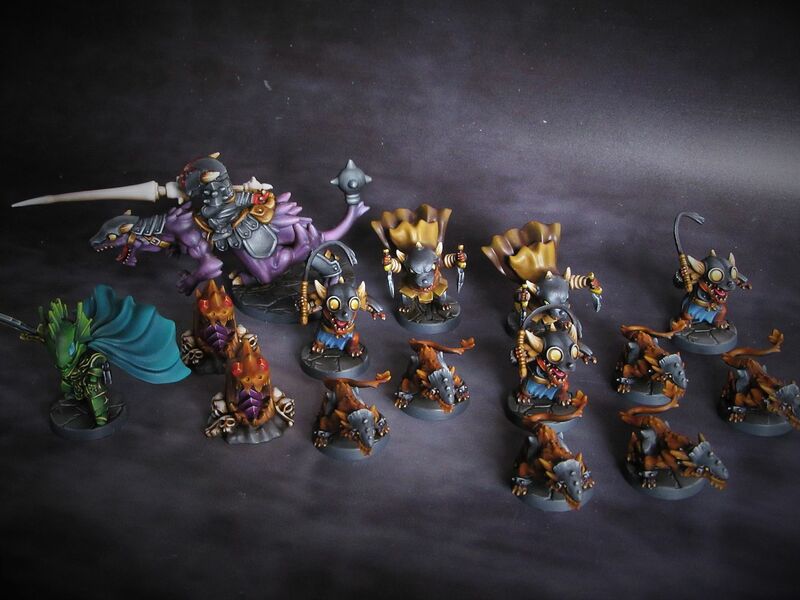 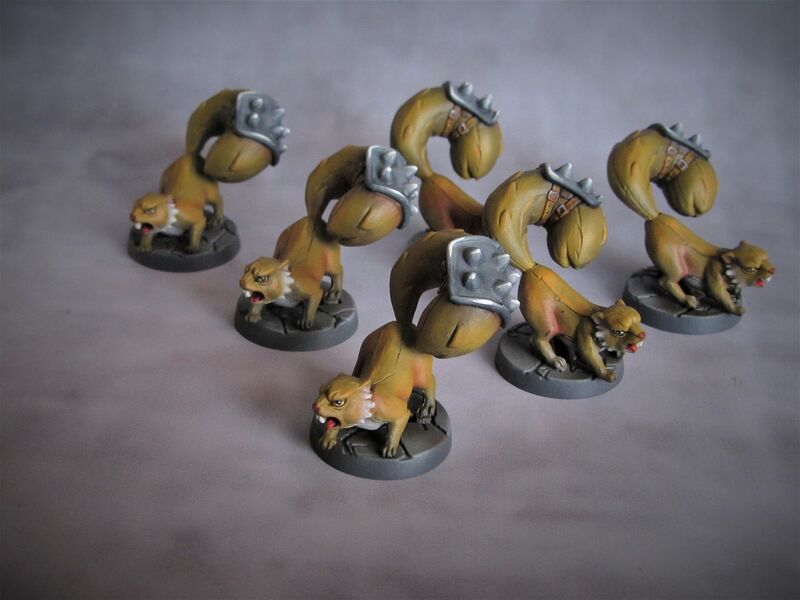 Forgotten King Claw of the Wyrm Warband finished, few more and I'm into the core box! 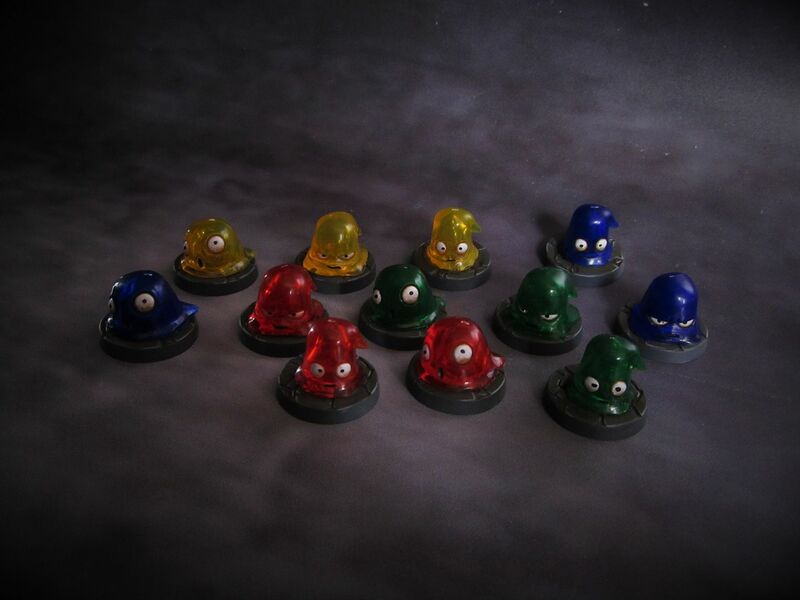 Also did a quick job on the jelly things.. 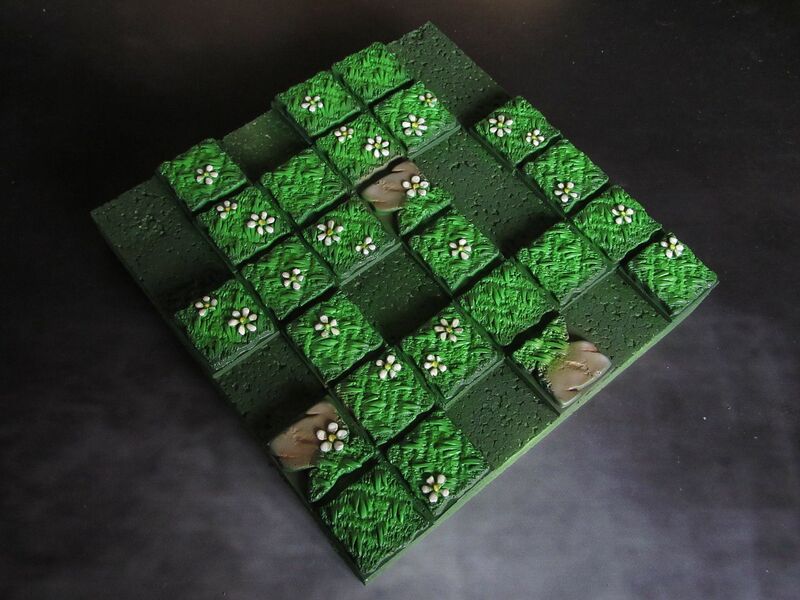 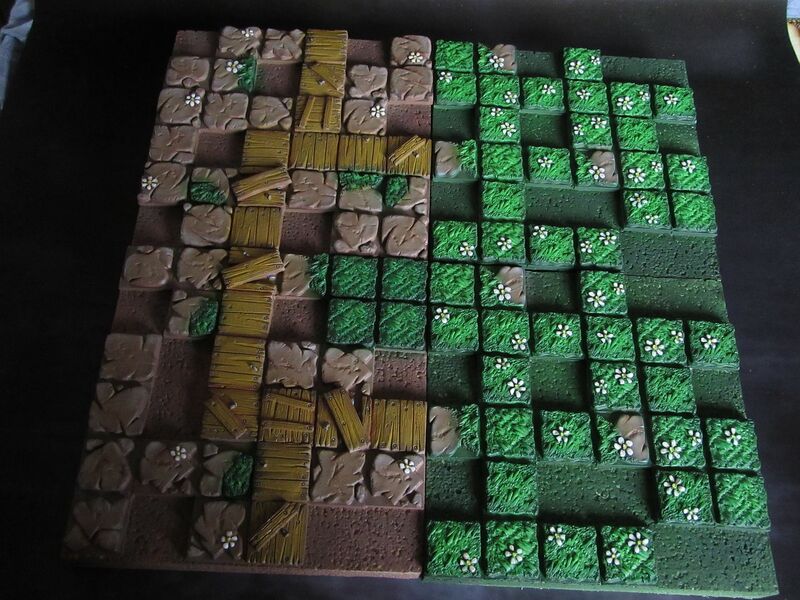 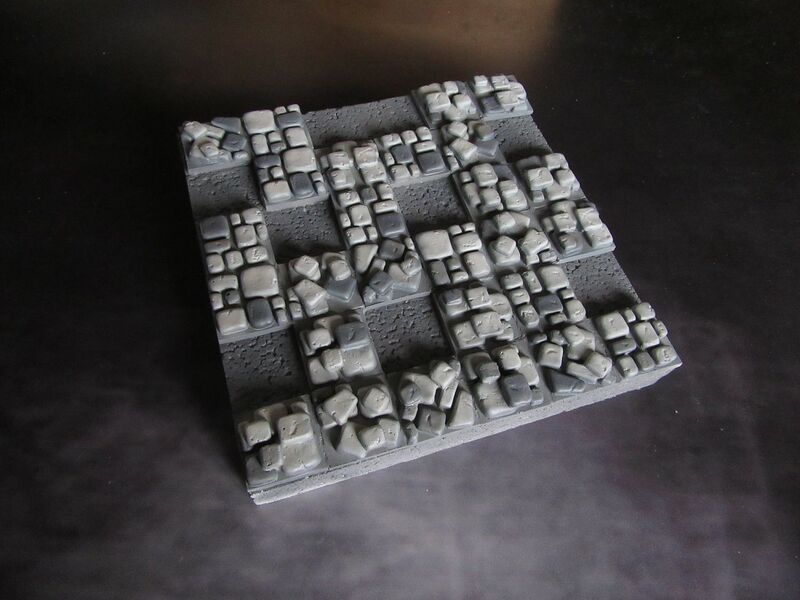 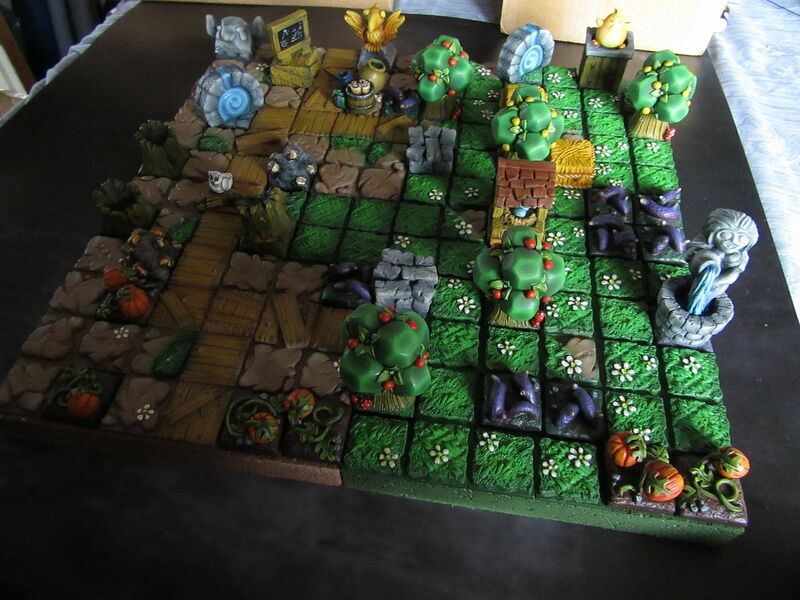 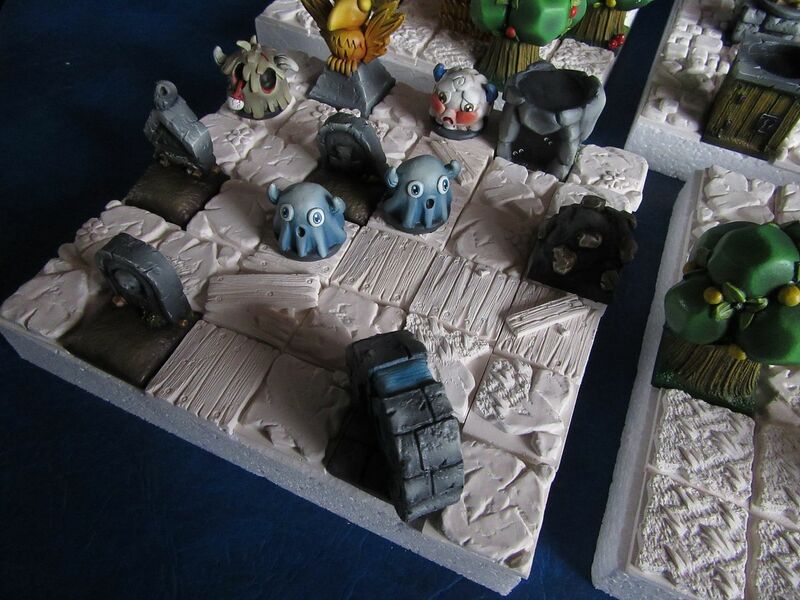 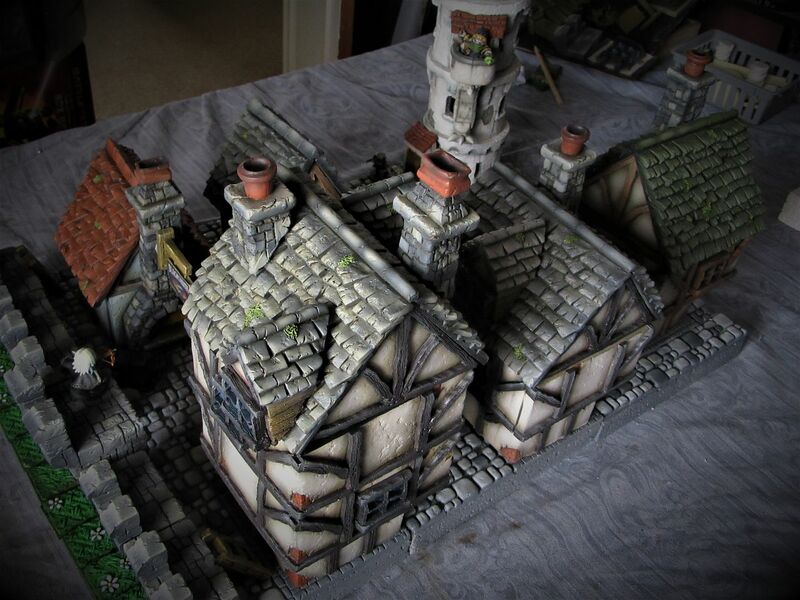 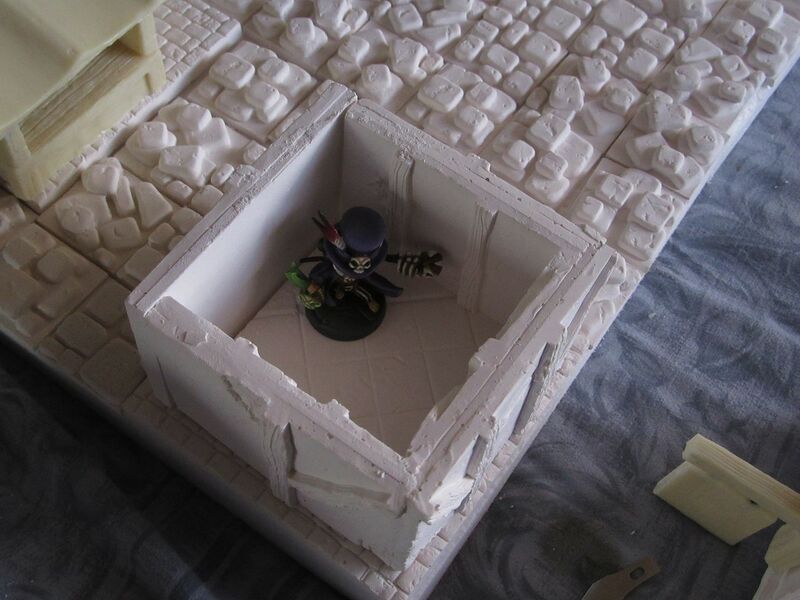 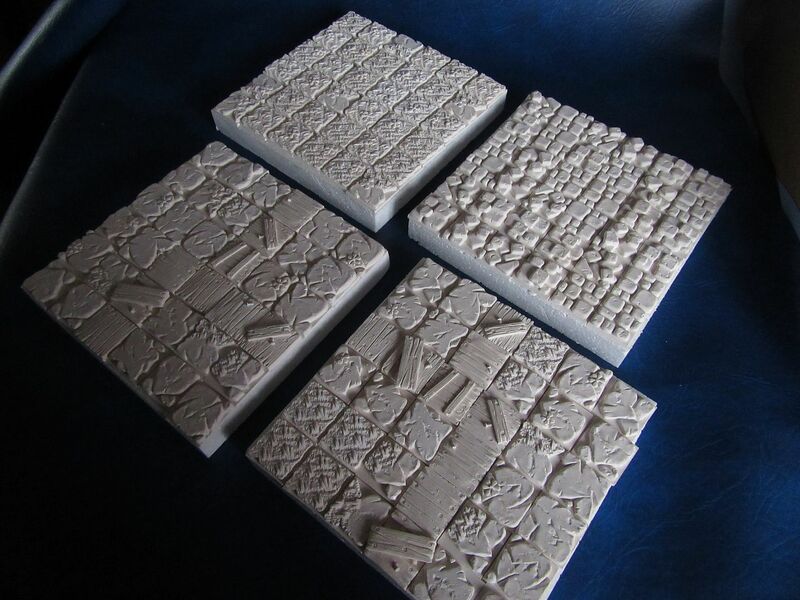 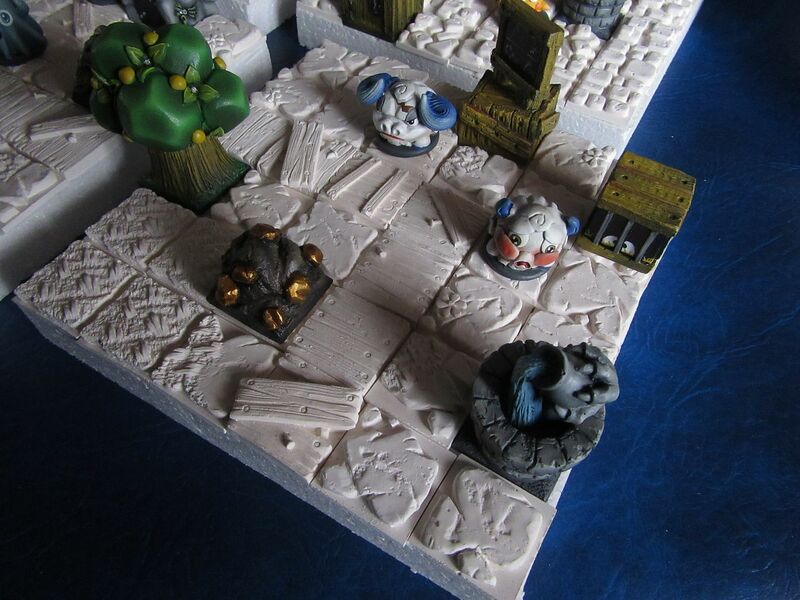 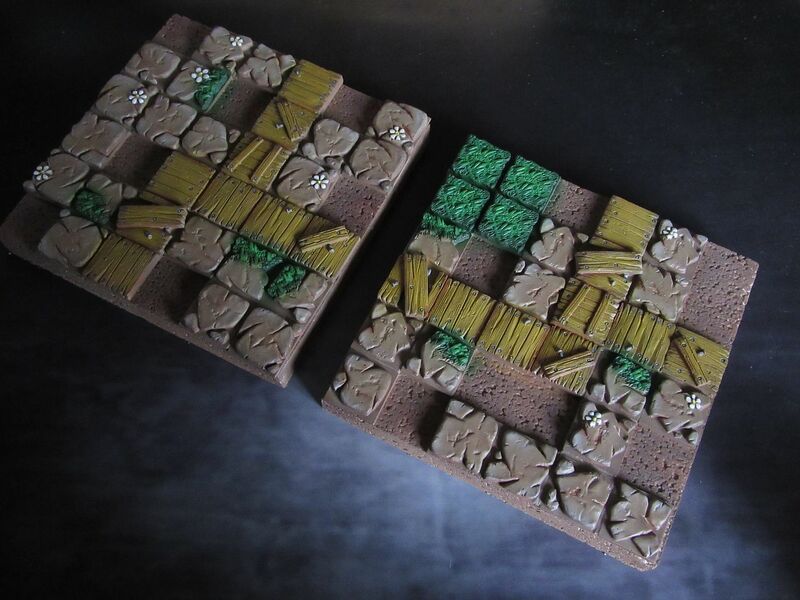 Working on a few extra tile styles for the Kros/SDE boards. 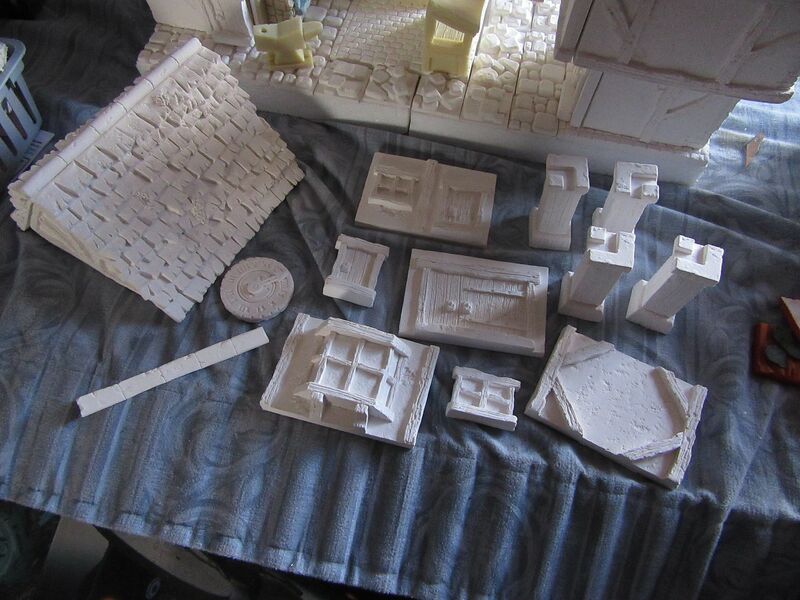 I'll try and get 'em painted ASAP so you can see the details better I've lost count but that might be twelvety + something different board layouts now! 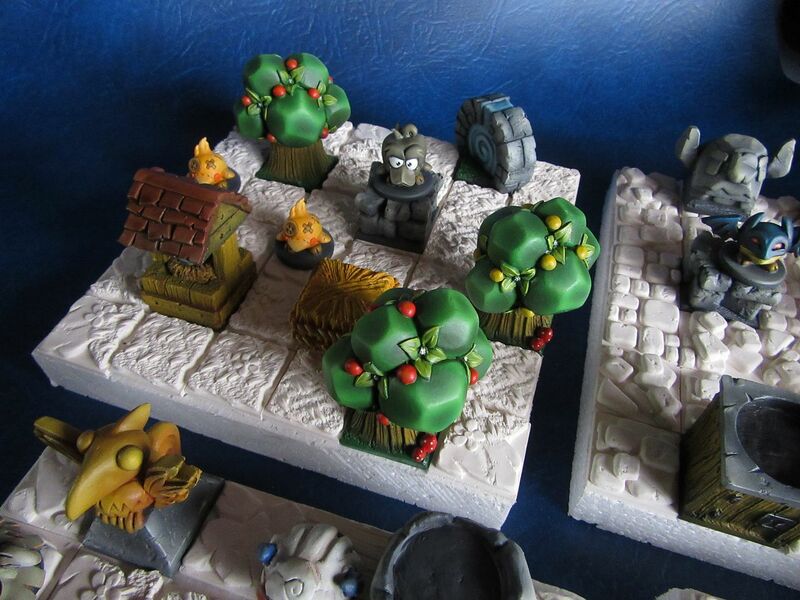 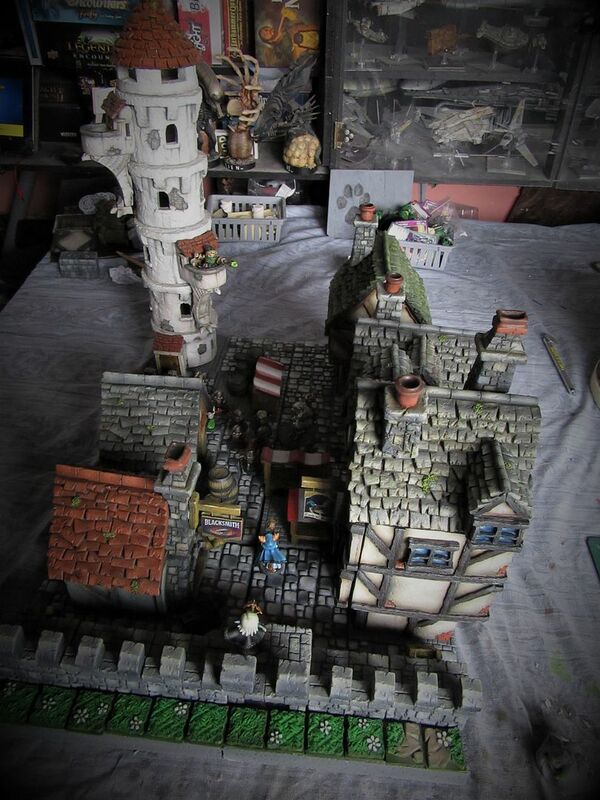 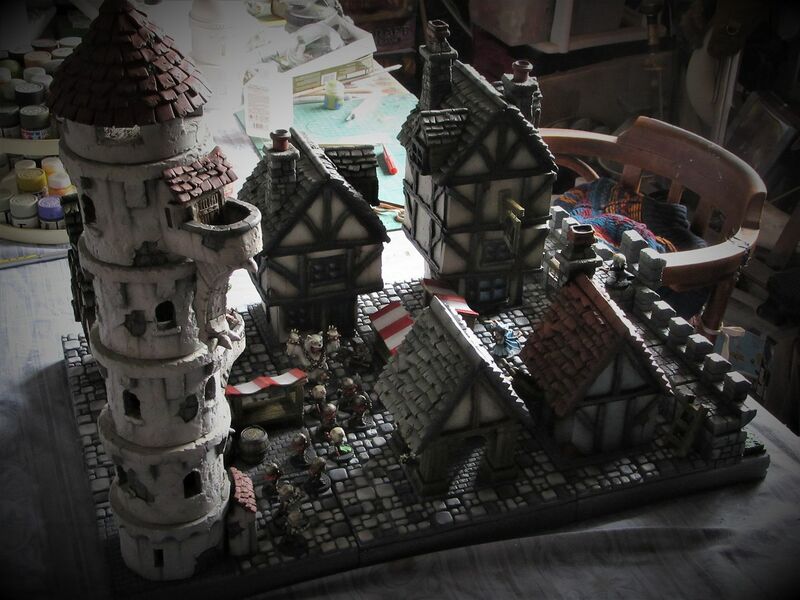 painting and terrain is great. 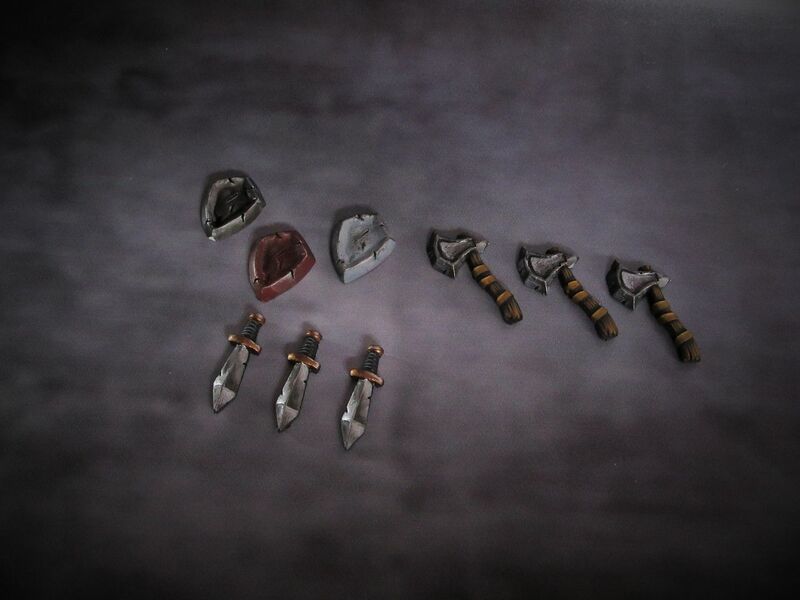 could you show some close-ups of the female-knight (from 8.8) and Marie (from today)? 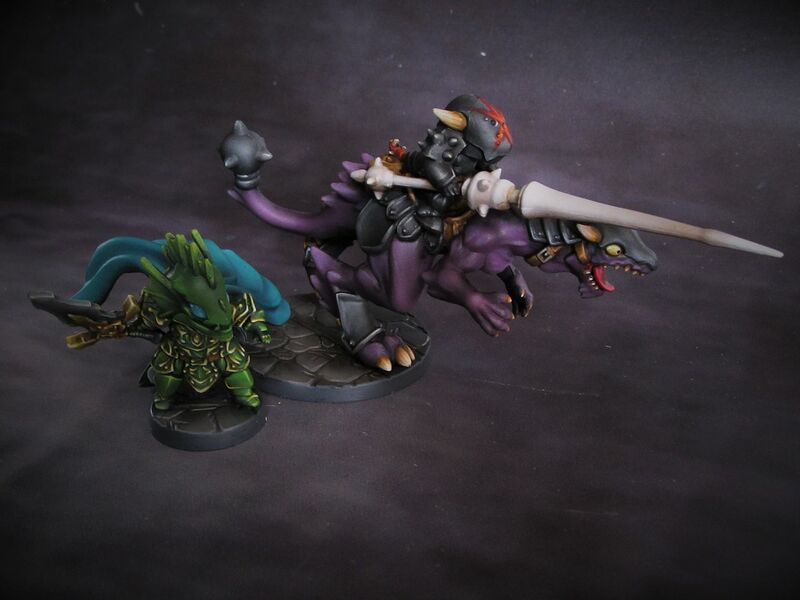 I wanted those 2 sculpts, but can't decide if the sculpt is really that off. 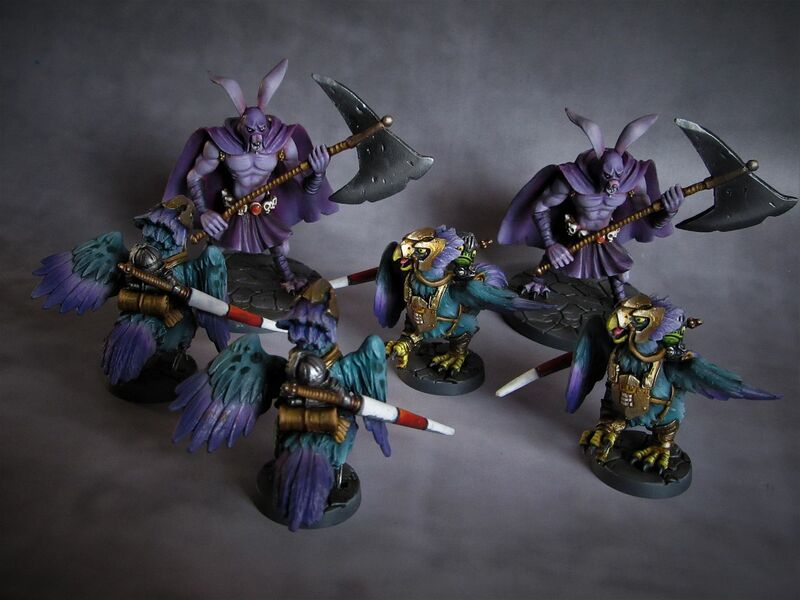 oh those pics, completely slipped my mind...its on the list! 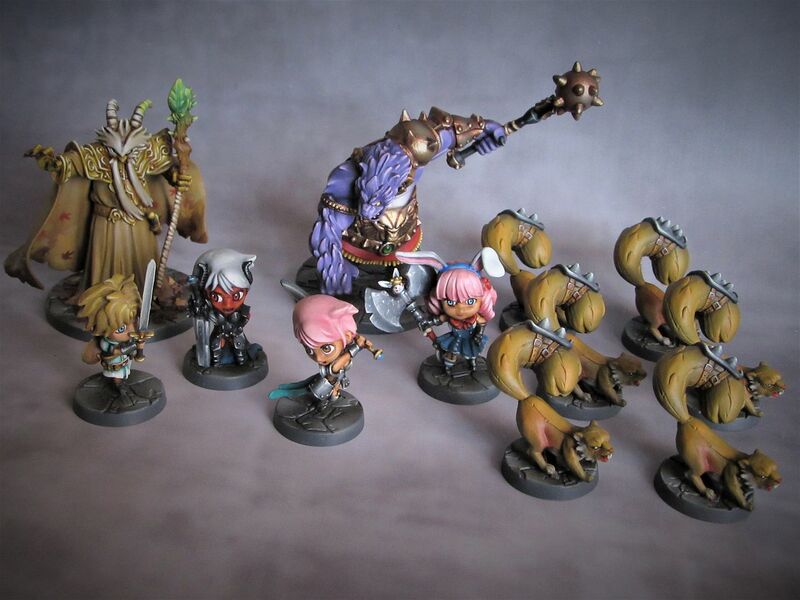 Killing a bit of time while the KS funds clear so I decided to make a start on 'Chibiford on the water'! 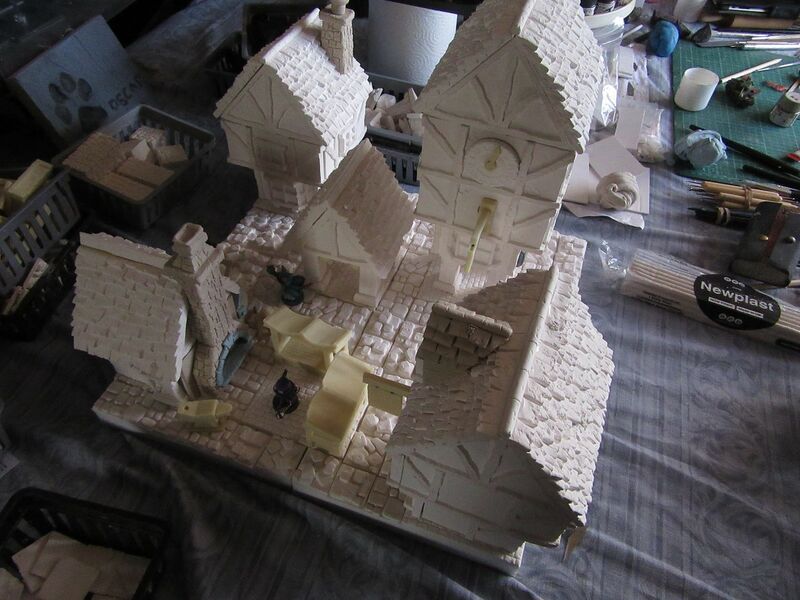 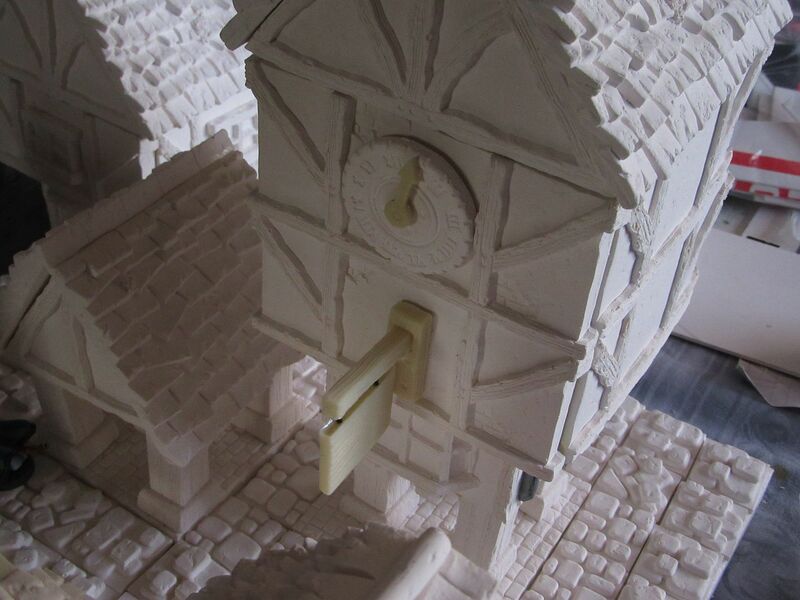 Initial 2 story building with a number of accessories to allow quite a few variations to be created. 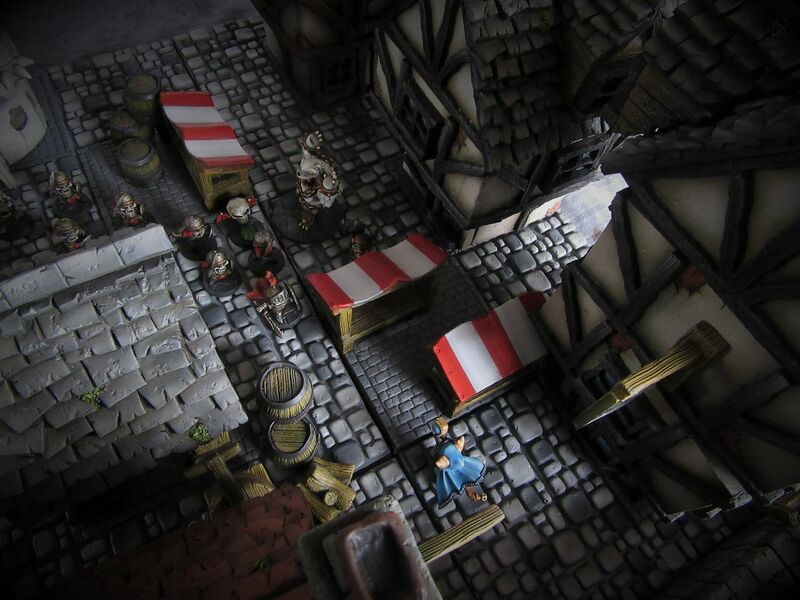 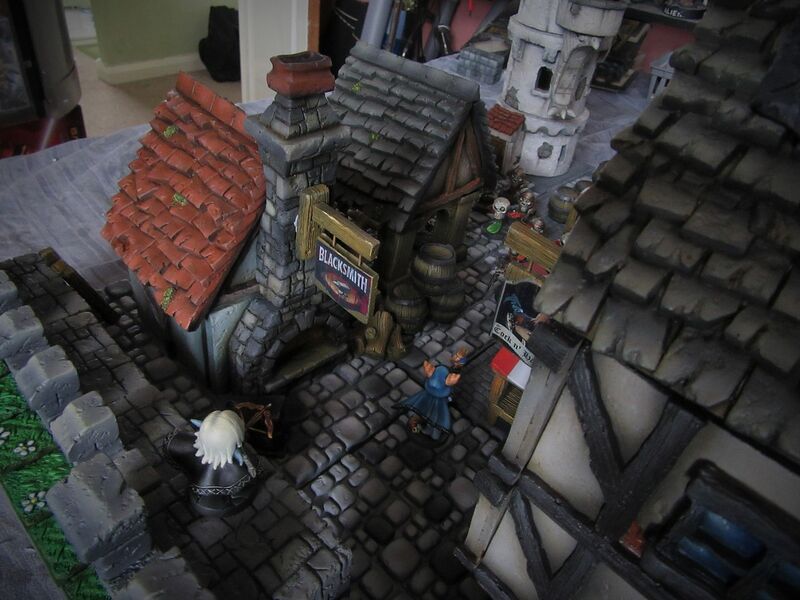 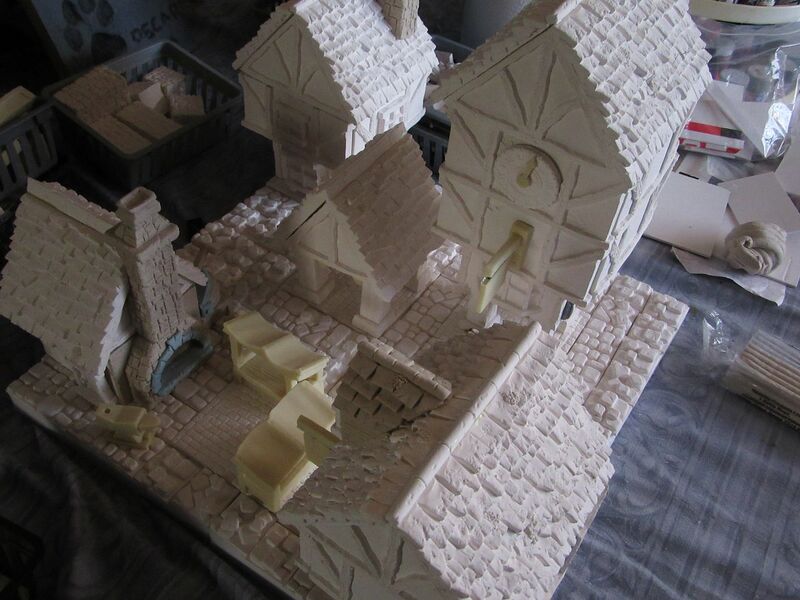 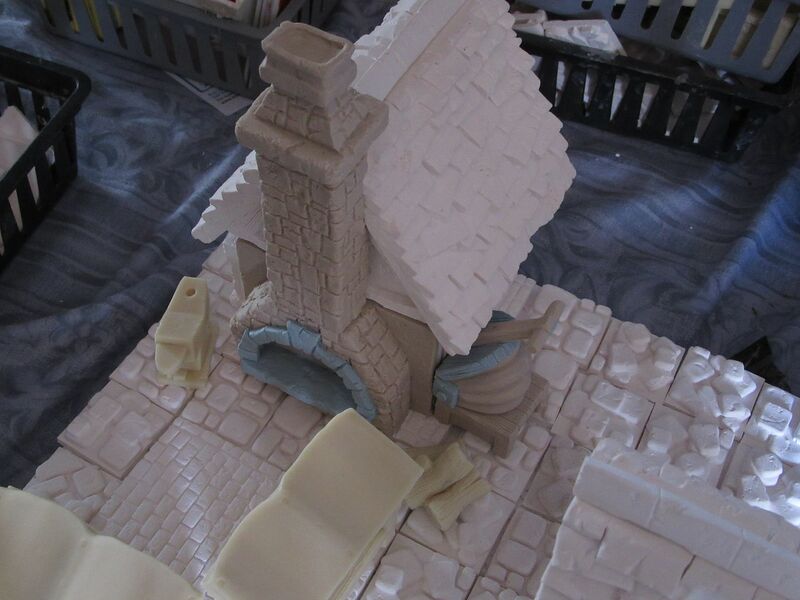 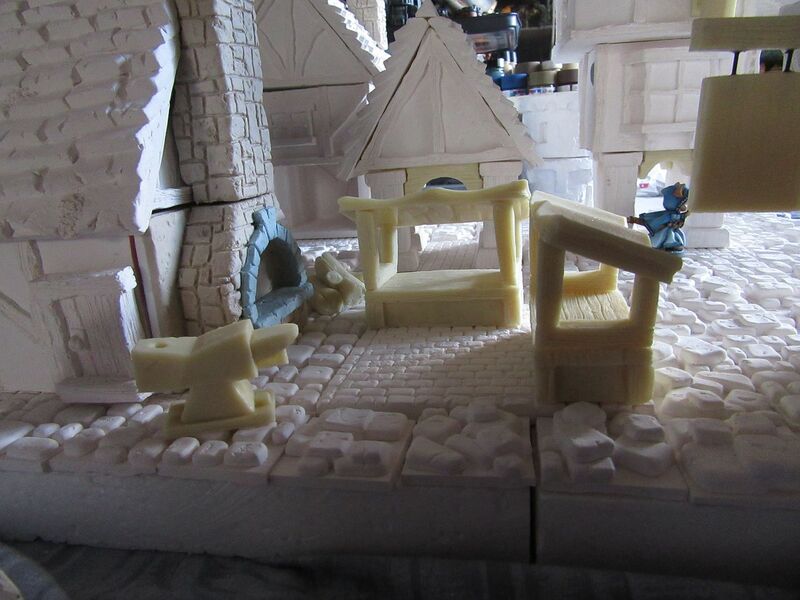 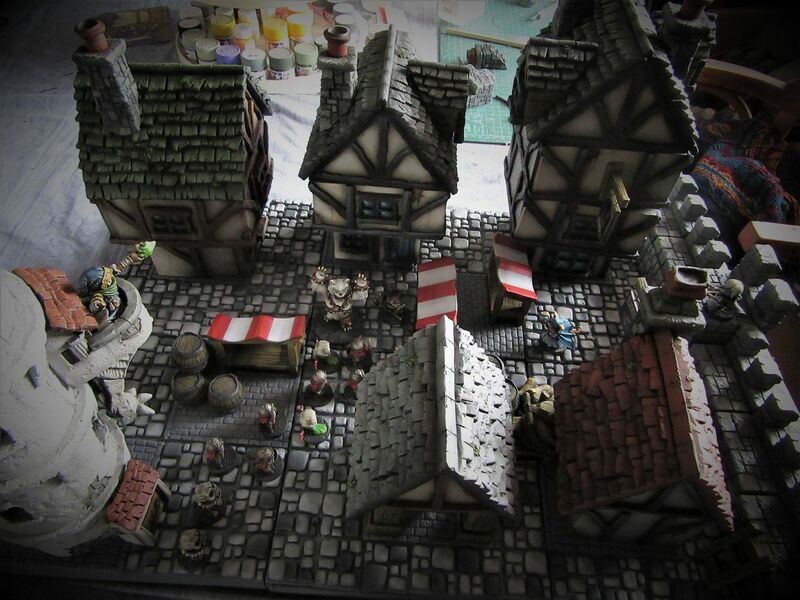 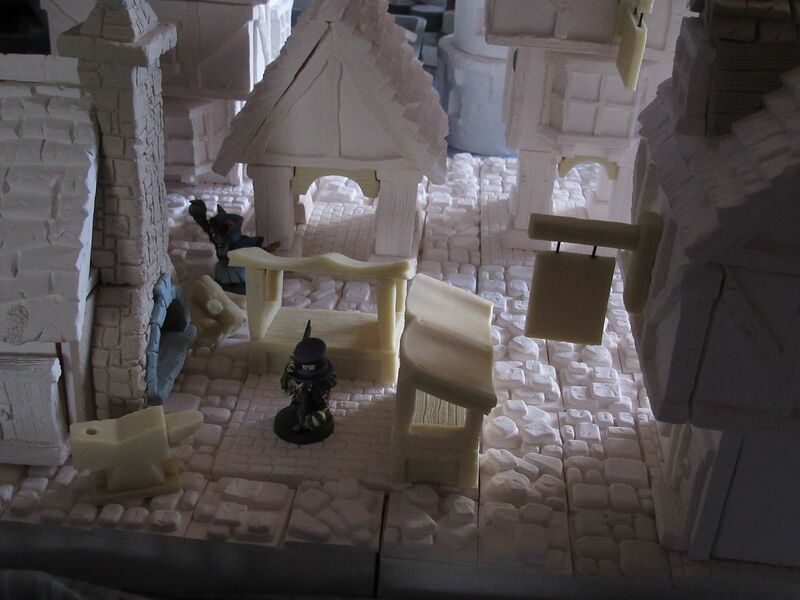 Also a little market area and blacksmiths...more to come as I squeeze them from the space between my ears...guess I better get some painting done! 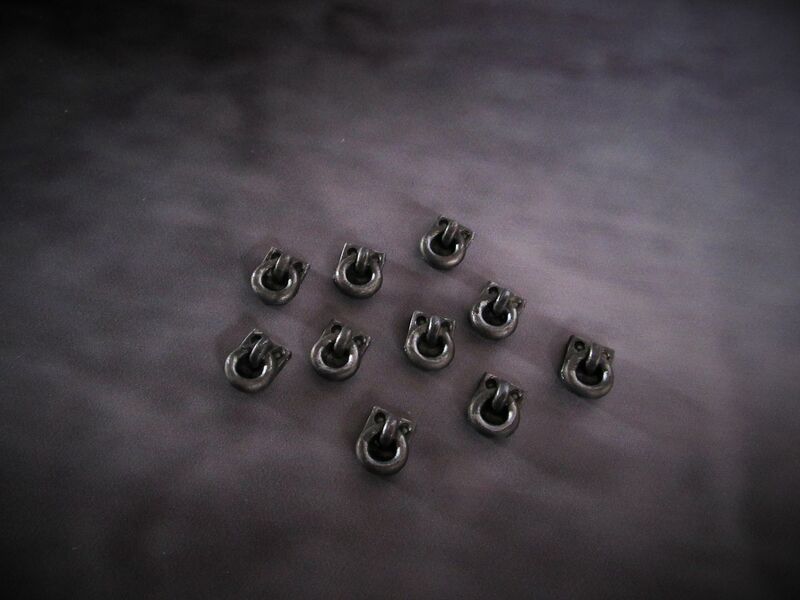 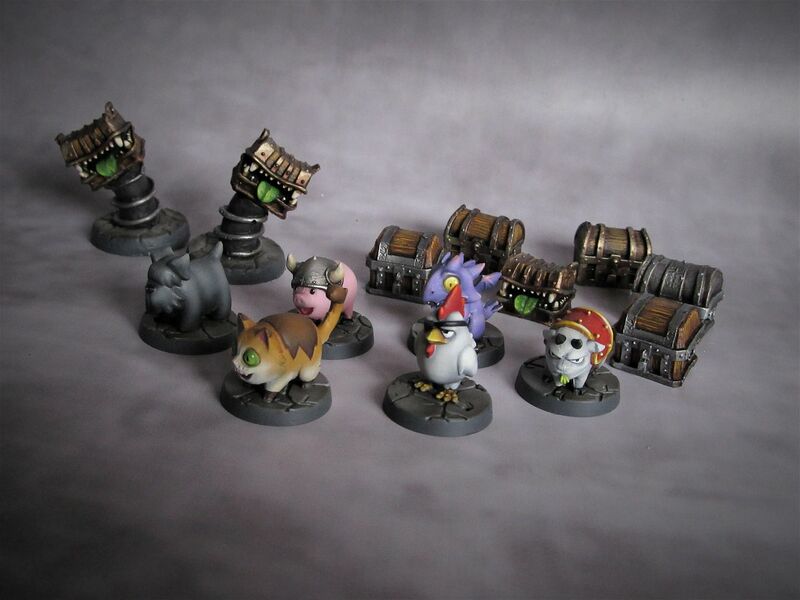 magnetised the clock hand so it could be used as a gam timer too! 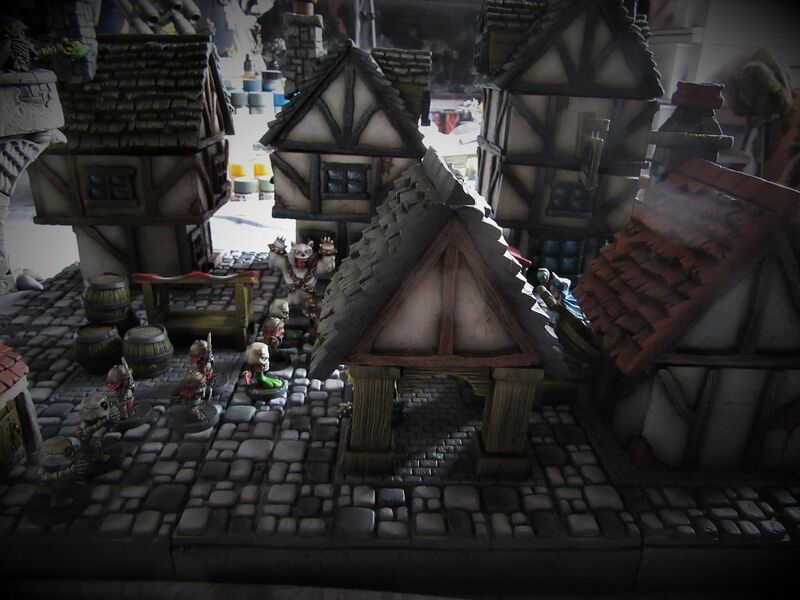 Splashed a little paint on the town...bringing things to life! 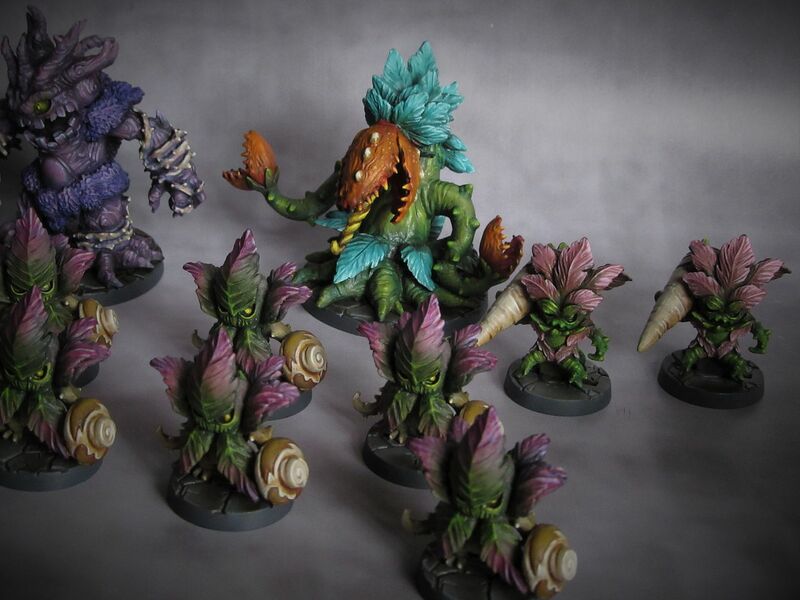 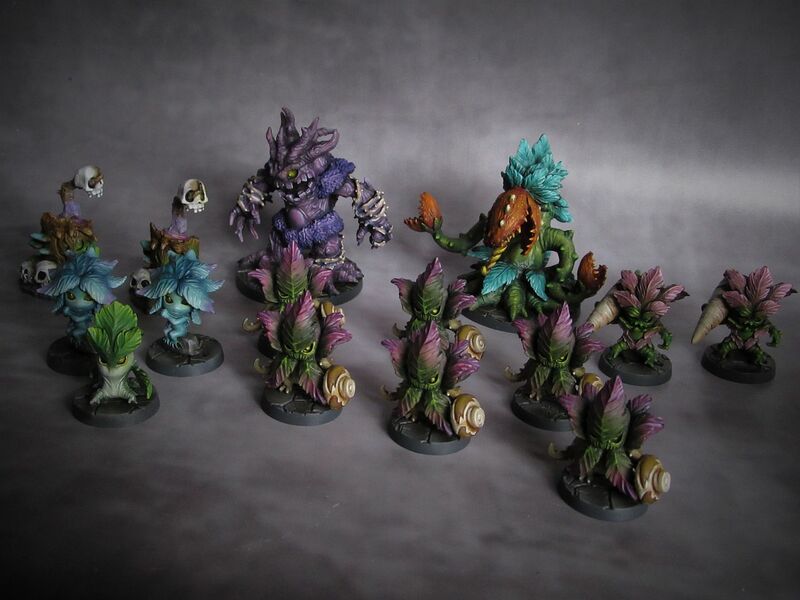 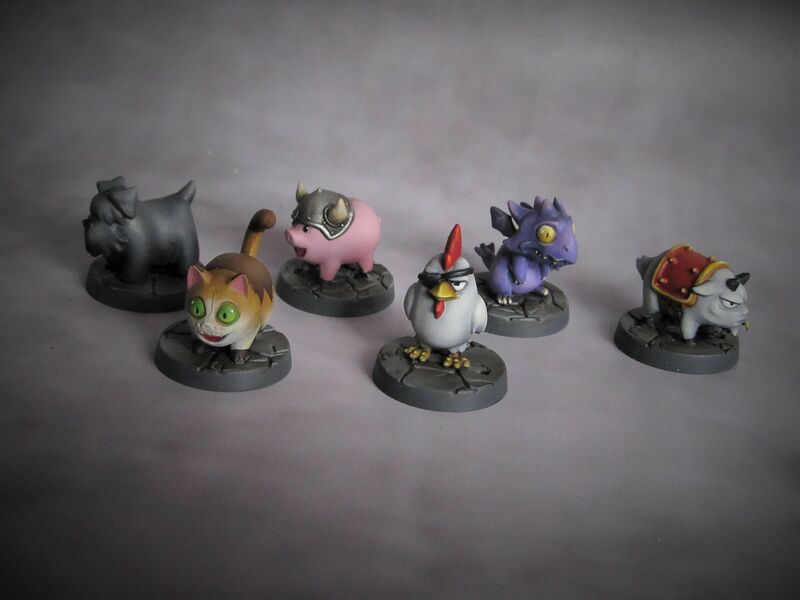 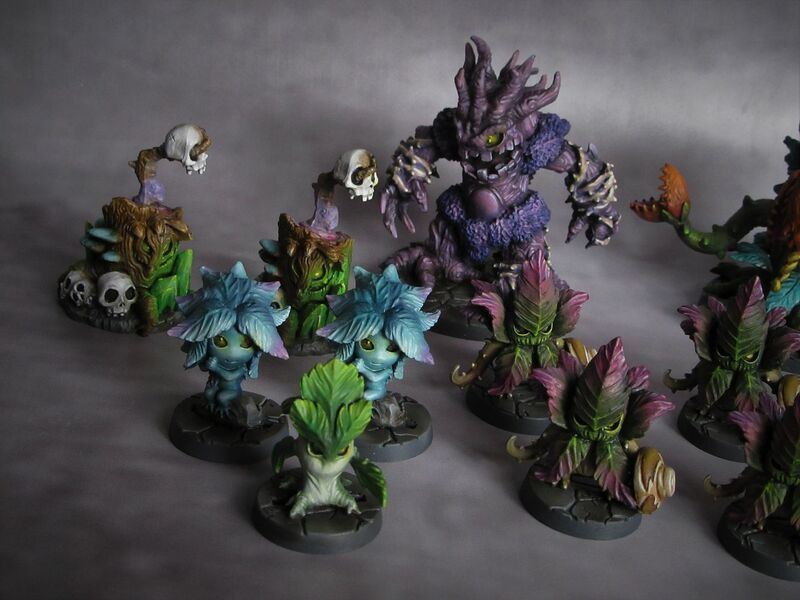 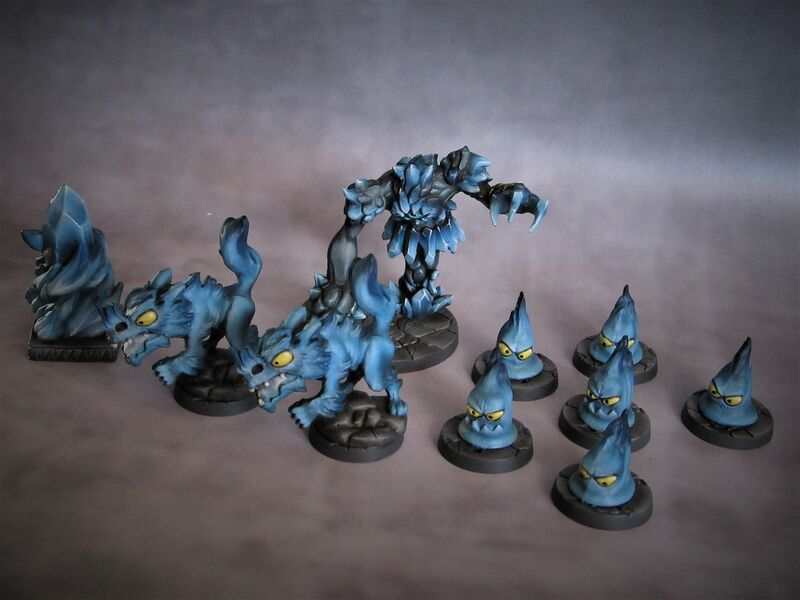 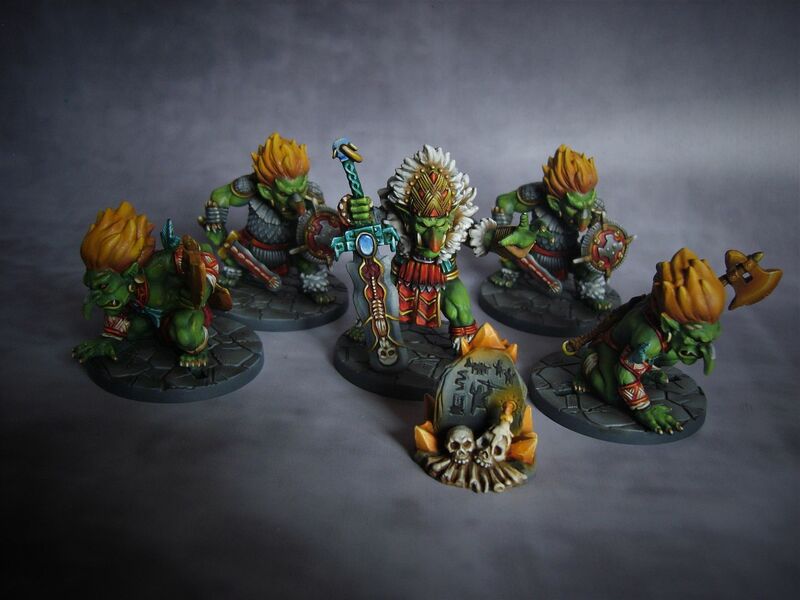 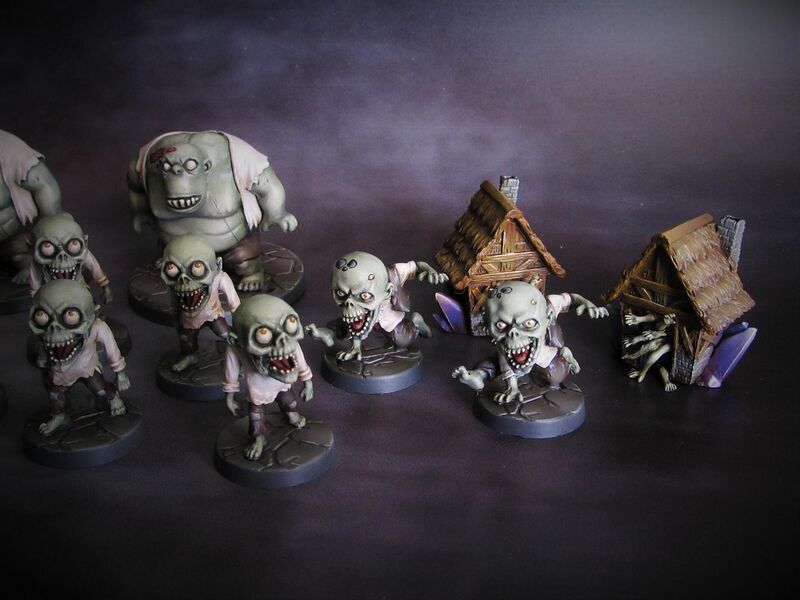 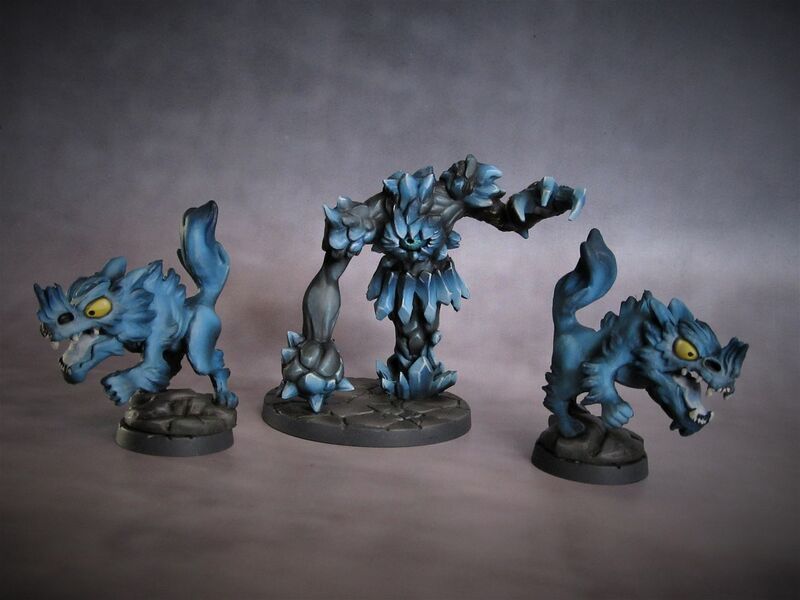 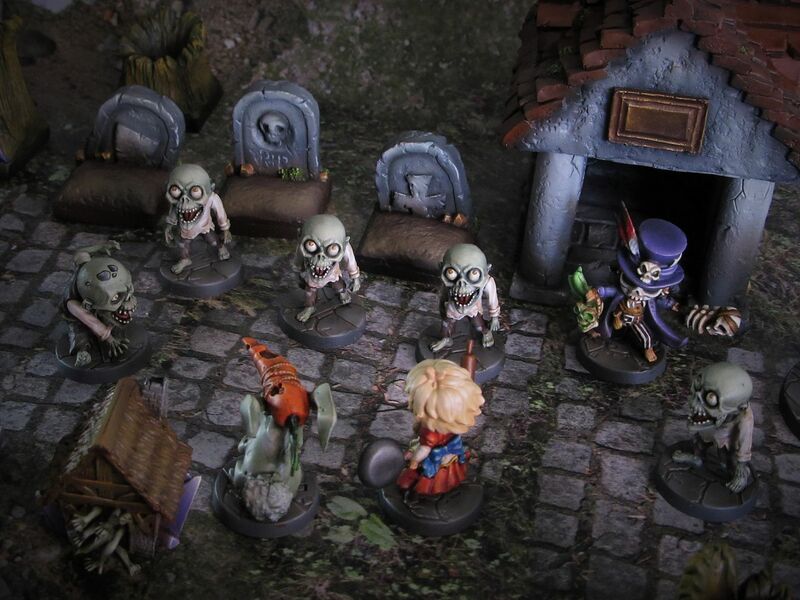 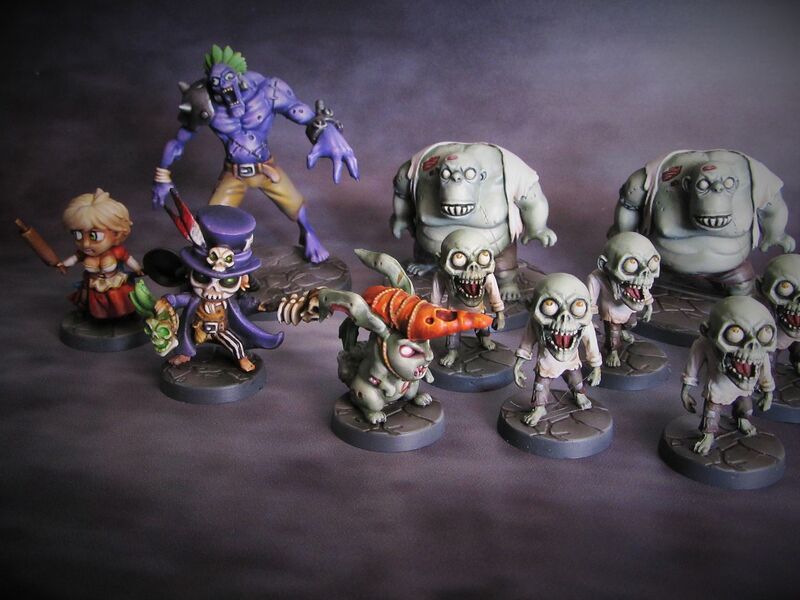 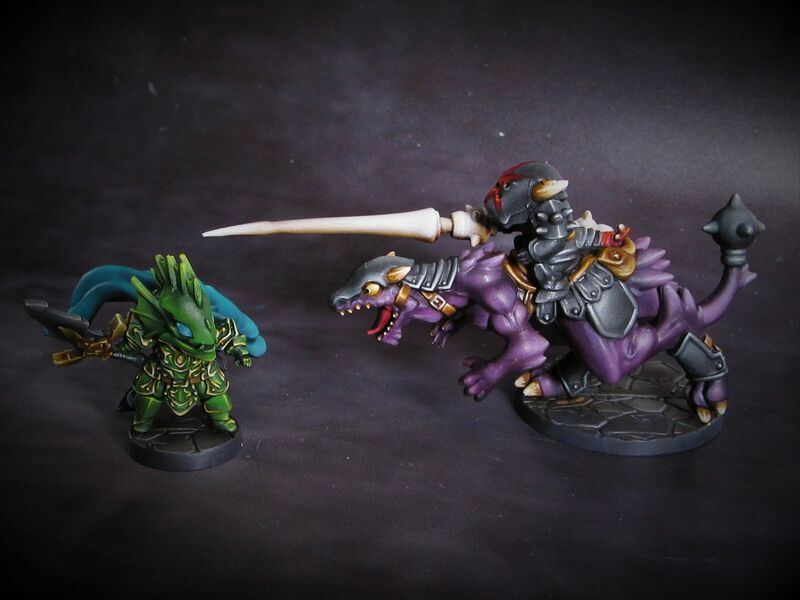 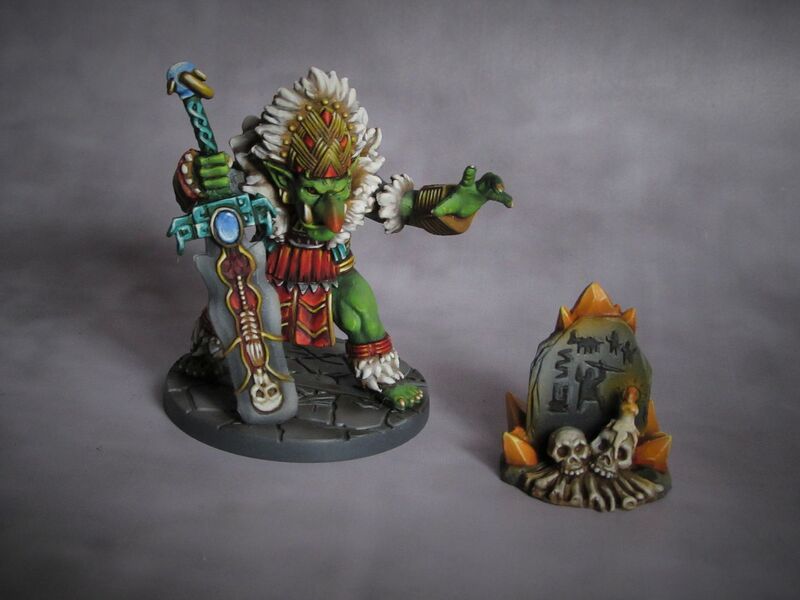 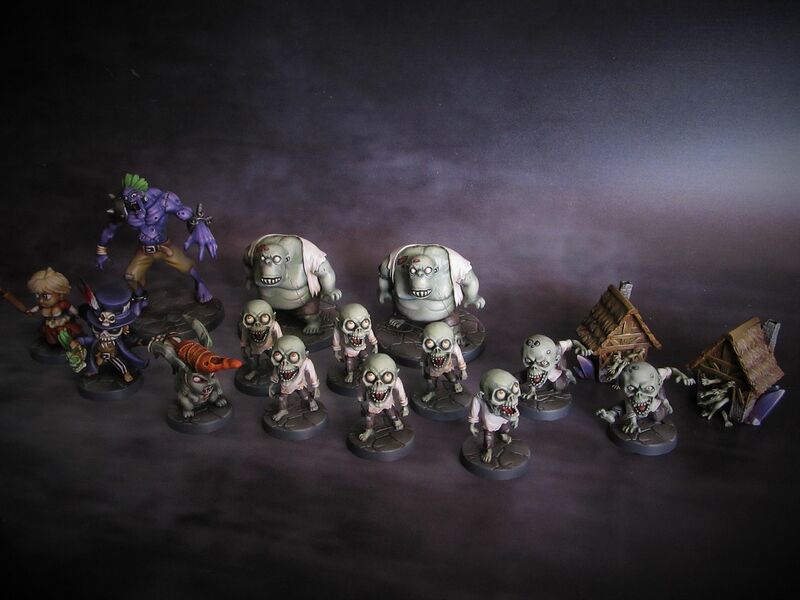 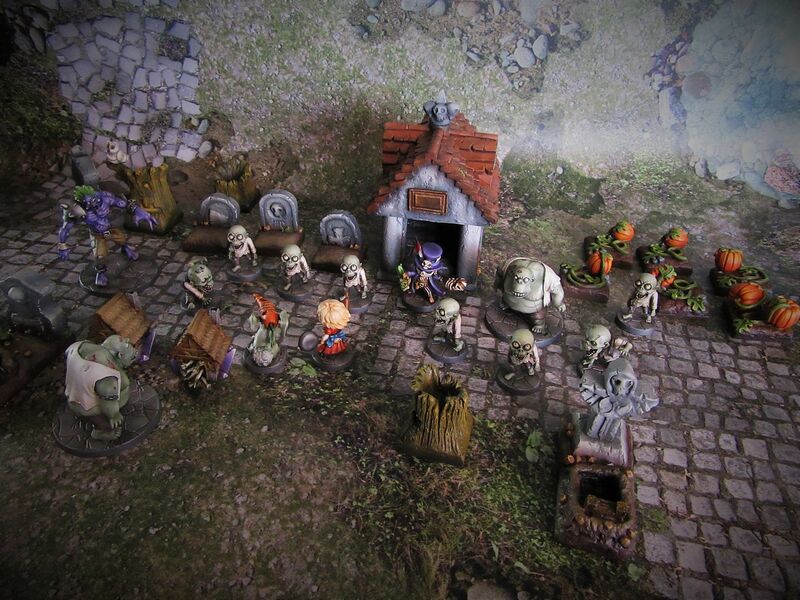 Chimera and Kodama gangs finished, eat up your vegetables before they eat you! 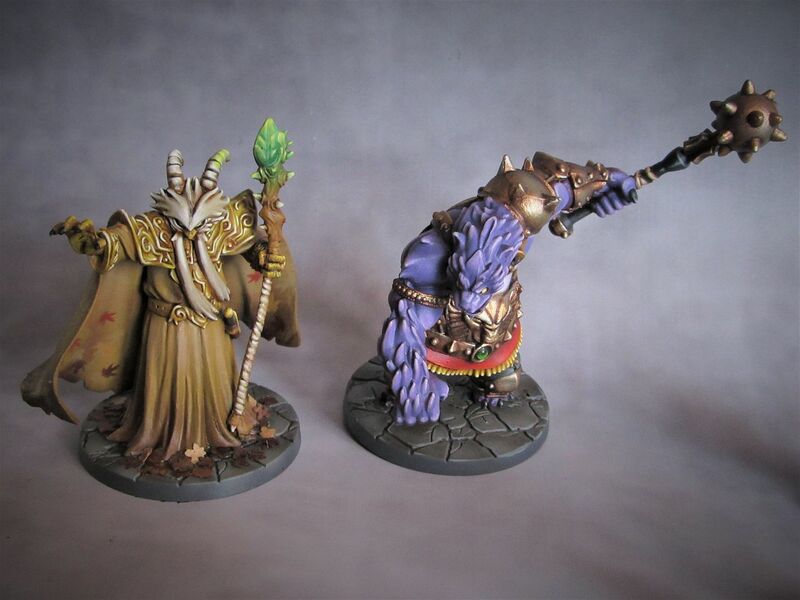 Nearly there now, Mistmourne Trolls done, just a few bits and pieces and the odd hero and the Forgotten King Kickstarter is finally clear! 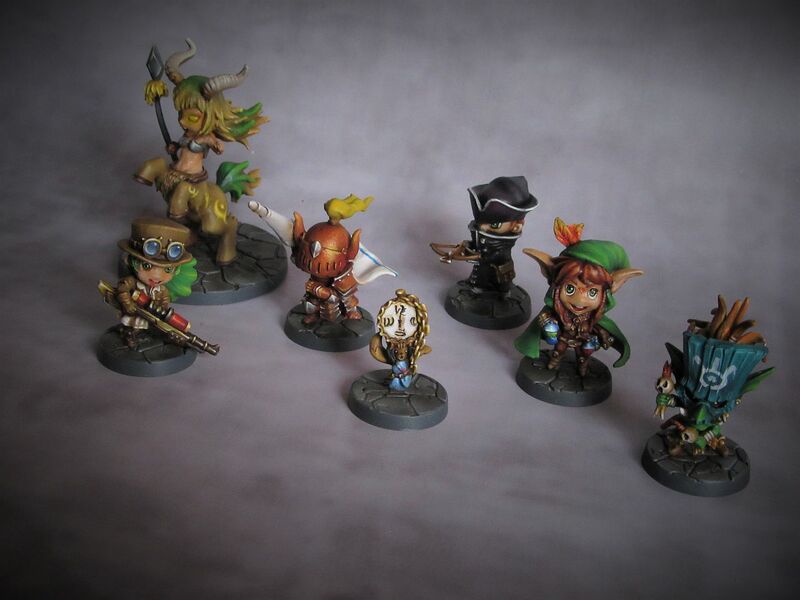 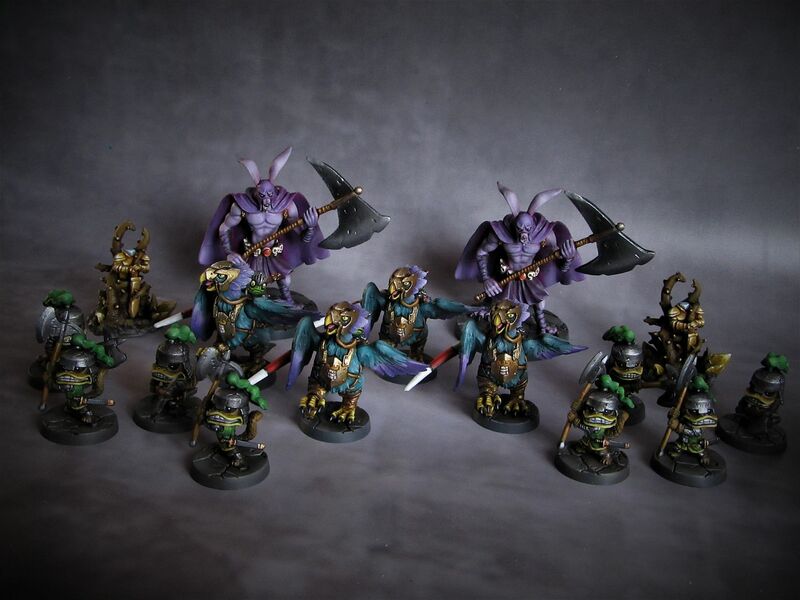 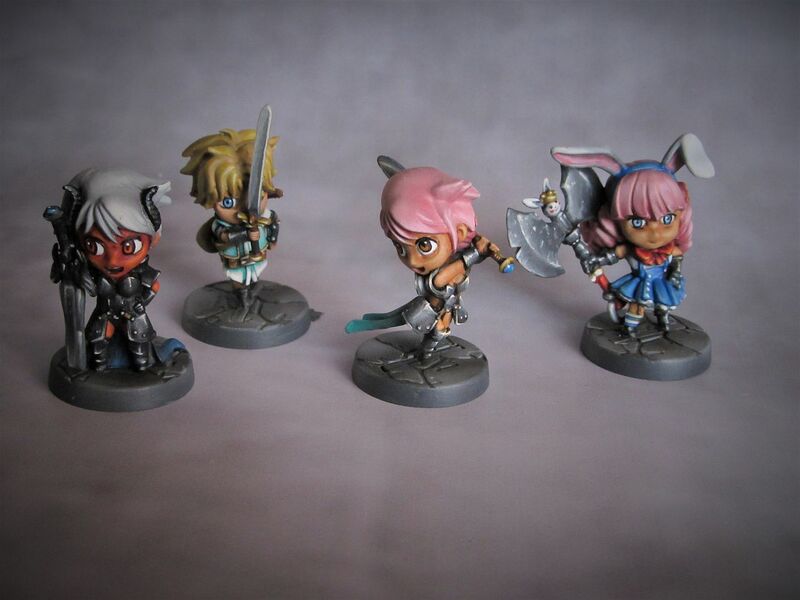 Salt and Faerie crew finished! 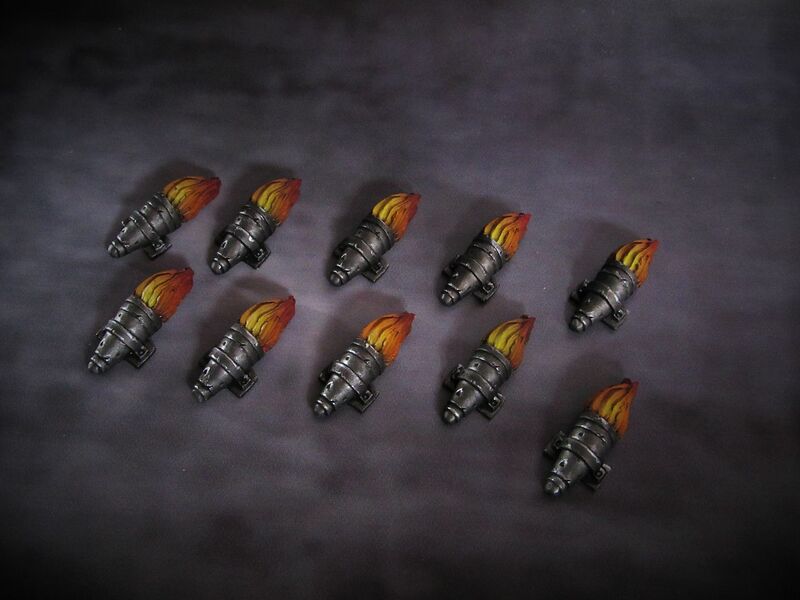 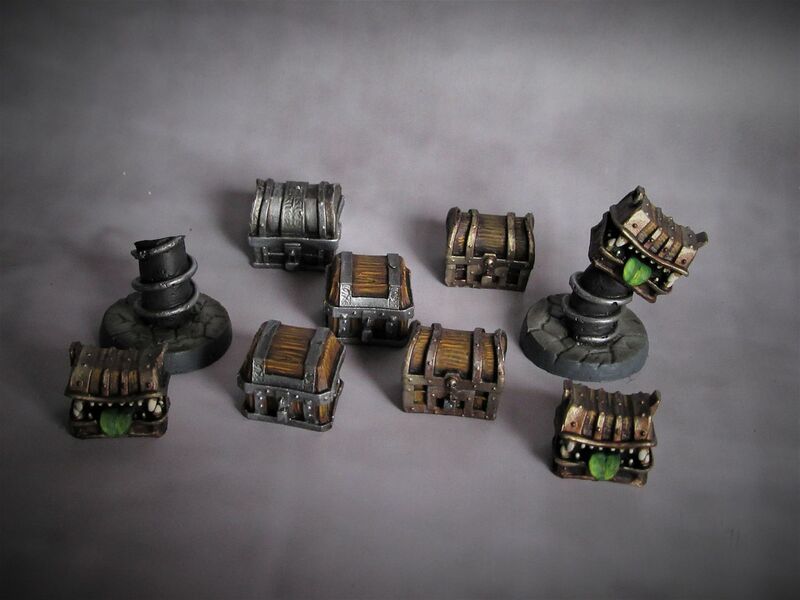 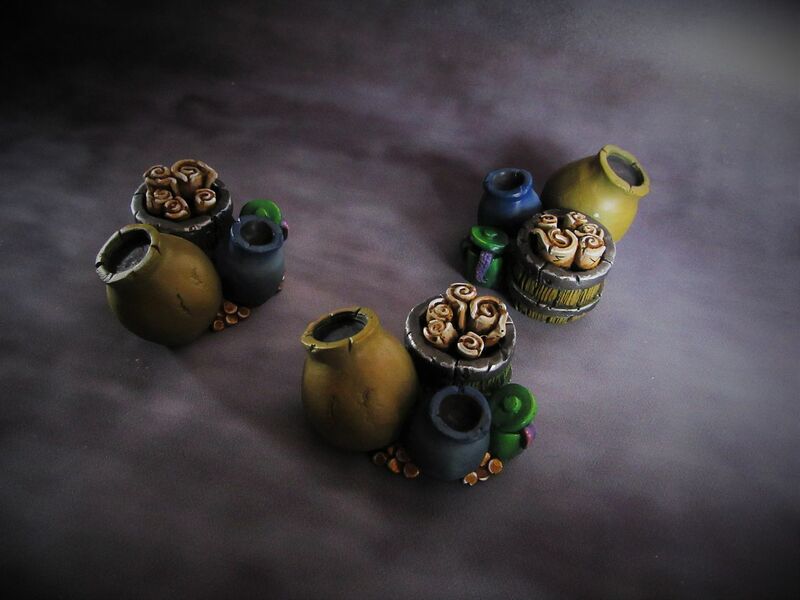 Pets and chests done too, created some 'Boooiiing' bases so I can quickly create some bouncing booty treasure! 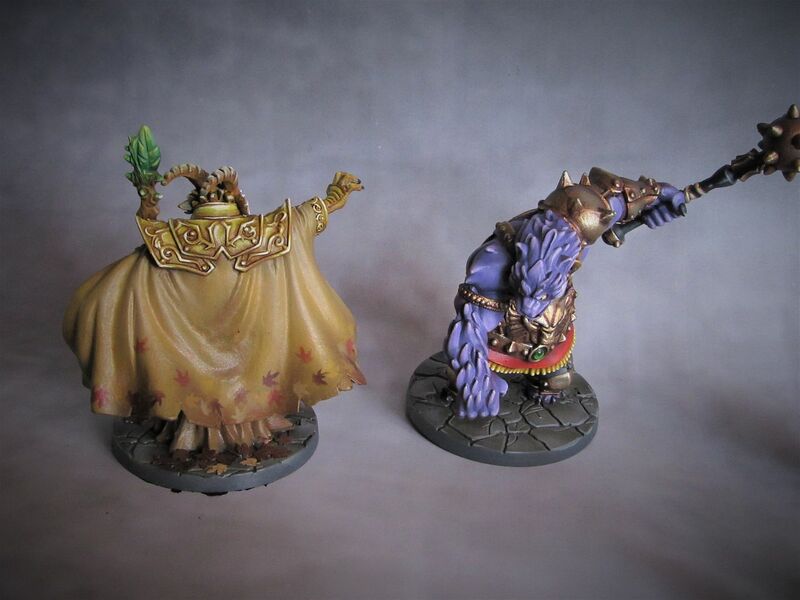 Did a last push on the Forgotten King stuff and finally finished it all!